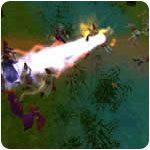 Real Time Strategy Games - Download & Play 21 Free RTS Games! 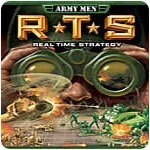 Real Time Strategy - Real time strategy games make you plan while the action is happening! Wage epic battles in the next chapter of human history! Command squads of green soldiers and vehicles! Overthrow the evil dictatorship in this intense RTS title. 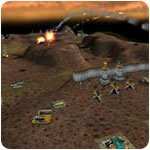 The RTS classic now a free download! Experience all 3 epic titles in this exciting RTS series! Play as 1 of 3 warlords destined to reunite China. The mission: save your planet. Objective: destroy the enemy. Build an enduring kingdom and legacy! Command military units in the era of the Roman Empire. Become a Roman general and lead your armies on conquests! Test your strategic and tactical might! End the Infinite War by totally annihilating your enemies. 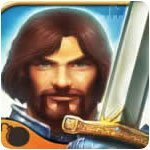 Bring down the evil King Kalap and bring peace to the land! Play 16 races and build mighty hero units! Customize your own vehicles in this deep RTS! 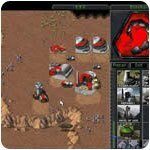 What are Real Time Strategy Games? Combine the strategic forces of chess, the “this unit beats that” element of rock-scissors-paper, and the challenges of learning to use specific and limited resources to build a military force with your enemy playing while you do and you’ve got a real time strategy game. The classic board game of Risk is one of the inspirations for modern real-time strategy games. In Risk, each player was given soldiers to spread out on a world map. Players decided where to reinforce their troops and when to battle a neighbor. But imagine a game of Risk where everyone is moving at once and you are denied the ability to take as much time as you want to plan and execute your turn. Westwood’s 1992 release of Dune II marked the beginning of the RTS genre as we know it today. 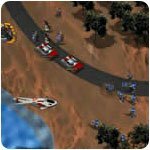 The company soon released Command & Conquer which added a multiplayer component allowing human players to compete against each other. 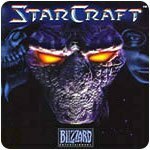 Blizzard Entertainment released its Warcraft fantasy RTS game in 1994 and later the incredibly popular sci-fi RTS StarCraft in 1998. 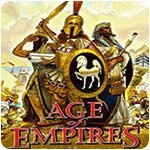 Other popular RTS games over the years include Age of Empires (1997), Homeworld (1999), Company of Heroes (2006) and Sins of a Solar Empire (2008). The games generally start with the player receiving a few units or a building. The object, at the beginning of the game, is to learn how to use these limited resources to build new units or buildings and what those new units or buildings are capable of doing to advance the player’s position. To be successful the player must build an army and use the army to defend themselves and eliminate enemies. Most RTS games focus on accumulating resources through harvesting, mining, gathering, etc. and building up a society and military machine to conquer more parts of a map and finally destroy your enemies completely. Real time strategy games are challenging due to the various strategic factors that involve successfully managing natural and financial resources, military planning, and battle execution. The unique element of RTS games is the continuous progression of the game play. Unlike turn-based games where each player takes his or her turn and all players take a turn before the first player can take another action; RTS games progress continuously and players will be taking action simultaneously. Actions can be undertaken by any player at any time just like in “real life” without waiting for other players to make a move. 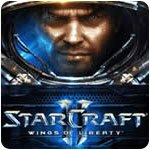 Who will enjoy Real Time Strategy Games? Those who want a deeper game experience besides just shooting enemies, those who enjoy multi-dimensional strategy, and don’t mind the pressure of real time will enjoy this genre. The real time component adds more excitement and action to the genre than turn based games. Multiplayer competition is a huge draw for those who get tired of playing the same computer AI and enjoy competing against others.